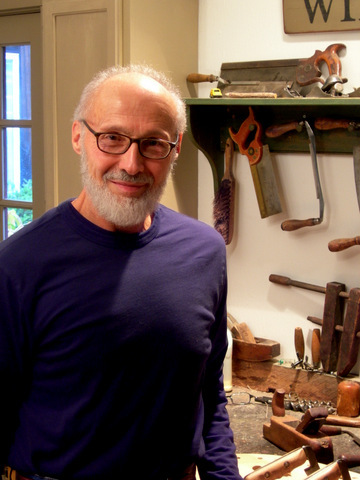 George Walker, in Design Matters, profiled Richard Grell’s Windsor chairs and talked about the new workshops we are adding to our class offerings. Whether you are a novice or experienced maker, Richard has much to share from a lifetime making his living with his hands and wits. Read the entire article here at Design Matters. Photo courtesy of George Walker. We all can use a little workshop wisdom. Time thinking. Creating. Building.